Today is my birthday! This year I decided to do something new by Celebrating You! You guys are so special to me! You come here, read my posts and leave such sweet comments! And, I love you for it! I don’t tell you that enough! So, I want to “Celebrate You” today by offering a giveaway of some of my favorite things! First up is this new Grace & Gratitude Footed Serving Bowl from Mary & Martha. I just received mine and I love it! It’s a nice size and beautiful shape. I love that it’s a pedestal bowl. But what makes it really special is the embossed “gratitude” and gray dots around the rim and the “always be thankful, Colossians 5:15 NLT” underneath. It really sets this piece apart from something you would find elsewhere! I love it and hope you do too! Next, is the Advent Bible Study book that we will be using in my Hymns & Verses Behind the Scenes group! I’m so excited to begin this study on December 1. The study book from “The Daily Grace” sold out so quickly, but I ordered an extra for this giveaway! If you wanted to join the study, but didn’t get the book before it sold out – this is your chance to win a copy! Next is a Mrs. Myer’s three piece holiday set in Peppermint. The set includes a dish soap, hand soap, and multipurpose spray. All are full size! 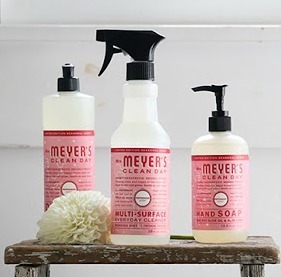 As a note, next week I’ll be sharing another way to get FREE Mrs. Meyer’s products in all of the holidays scents! Stay tuned for that!! 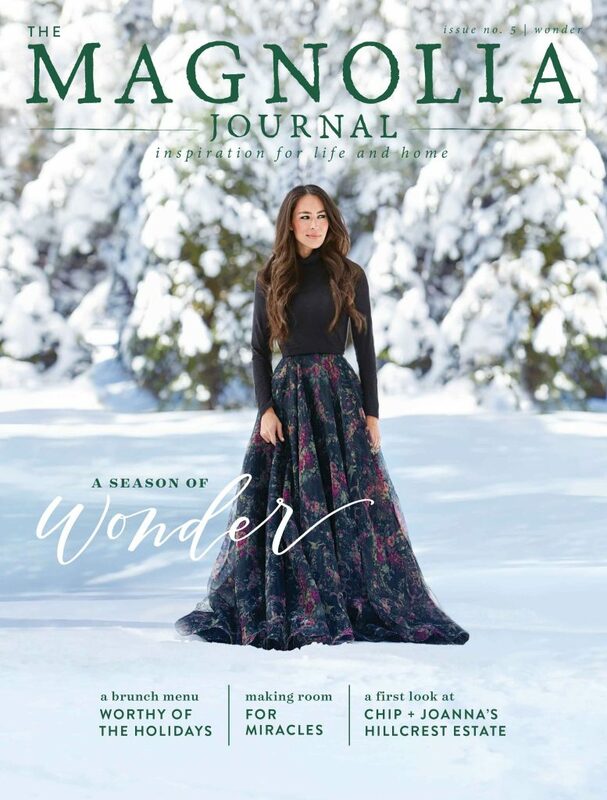 Lastly, a one year subscription to The Magnolia Journal and a copy of the latest Winter issue that will hit news stands on November 14. The Magnolia Journal is such a beautiful magazine and the content is amazing. If you don’t already get this magazine – here’s your chance to receive it for one year on me! This isn’t a huge $1000 dollar giveaway like you might see on some other blogs – just some favorites of mine to show you that I appreciate you! To enter the giveaway – just leave me a comment! It’s that simple! I wish I could offer this to every one of you, but my budget won’t allow that! Instead, I can give all of you one of my favorite prints and it will be great to use for the upcoming Christmas season! I’ve placed the downloadable file in my password protected printable library. You have to be an email subscriber to get the password to access the library. 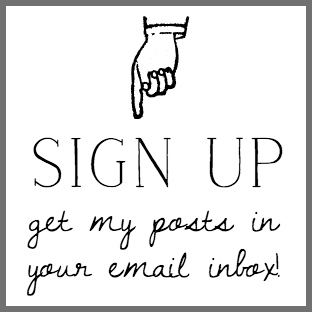 Being a subscriber just means you will get my posts in your email inbox. That’s it. I don’t send you any spam and I don’t share your email! You can become a subscriber by clicking HERE. 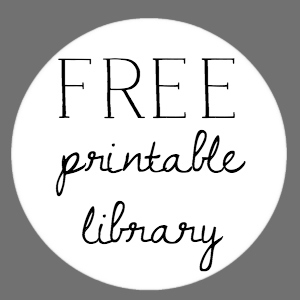 Once you subscribe, you’ll be sent an email with the password to access my FREE printables library. And, I’m also having a separate giveaway on Instagram! How exciting is that! I’m giving away one of my favorite large signs – “Our Cheeks are Nice & Rosy and Comfy Cozy are We”. This sign measures approximately 12″ x 48″ plus the frame. To find details about this giveaway, follow me on Instagram HERE. The giveaways will run for one week – ending, Friday, November 17. I’ll announce the winners next Saturday, November 18. Always encouraging!! Hope this day is extra special and full of blessings! May your birthday be richly blessed! Doreen, I’m so enjoying your blog! I really love your style! Thank you for sharing with us. Happy Birthday! Thank you for the great giveway. I want all of them! I enjoy your blog and design ideas are wonderful. Happy Birthday Doreen! You are so generous to think of others on your birthday! I pray that you are given extra love, sweet treats, and lots of laughs today as you celebrate! I have been following you for awhile now Doreen and I just love the decor in your home~ can’t wait to see the office reveal that you and your hubby have done! Thanks for your generous giveaway and have a great birthday! Happy Birthday to you!! Hope you have a fabulous birthday! I became a mother 39 years ago today! Where does the time go??? 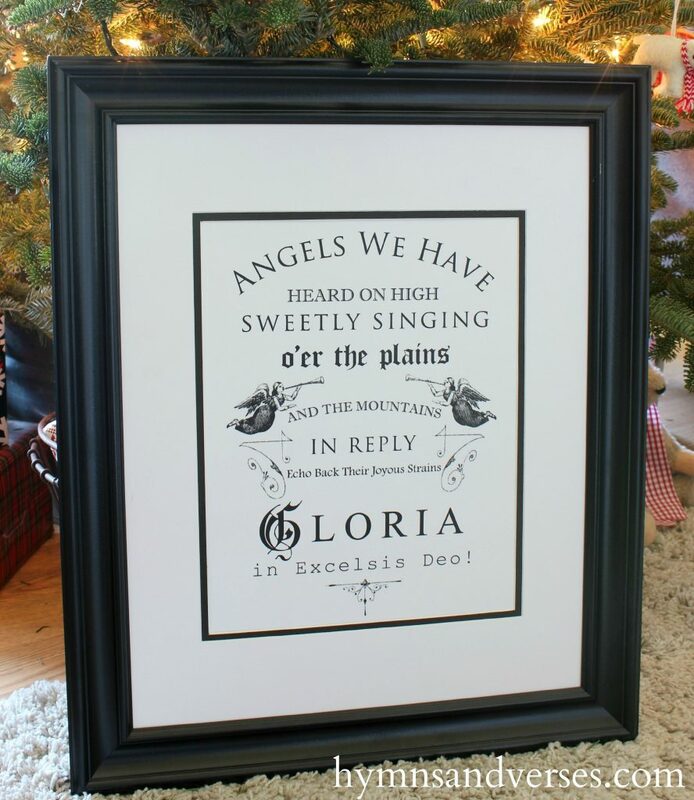 The Angels printable is beautiful! I will hop over to your printables and check it out! I always love your style! Thank you for sharing and Happy Birthday! Happy birthday! Love your blog and appreciate all the freebies. And this group of giveaway gifts is awesome. Hello Doreen! Thank you for sharing. Love reading your blog. Happy, happy birthday! Happy Birthday! I am grateful for you! Happy Birthday! May God bless you today and every day. This is an amazing list of Goodies!! Love them all! Love seeing how you change things throughout the house each season. Happy Birthday !!! Hope your day is amazing in every way!!! Amazing give aways’ !!! Happy birthday blessings! I love reading your blog, and seeing all the creative ways you decorate! Hope your day is lovely!! Many Blessings To You On Your Special Day And Throughout The Coming Year! Happy Birthday! Your readers and I celebrate the gift of you to this world! Every time I see an email from you in my inbox, it truly brightens my day! Blessings! Happy Birthday! 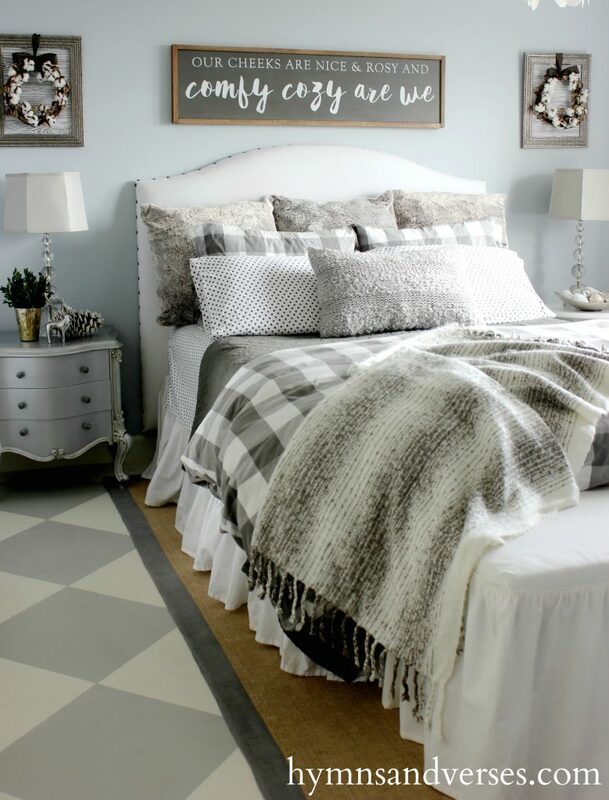 Love your bedroom. Happy Birthday! 🎂 My son’s birthday is today too! My one and only is 36!! Agh, how did that happen. 🤣 I so enjoy your blog because it is real and the ideas you share are doable and beautiful. Have a great day. Happy Birthday, hope you are having a great and Blessed day! Wonderful giveaway, thanks for offering! Thank you. Love your creative soul. Happy Birthday Doreen! I enjoy receiving your blog. Thank you, Donna C.
Doreen, this is an especially hard time for me. My sweetheart of almost 48 years, died in his sleep last week. I am devastated. 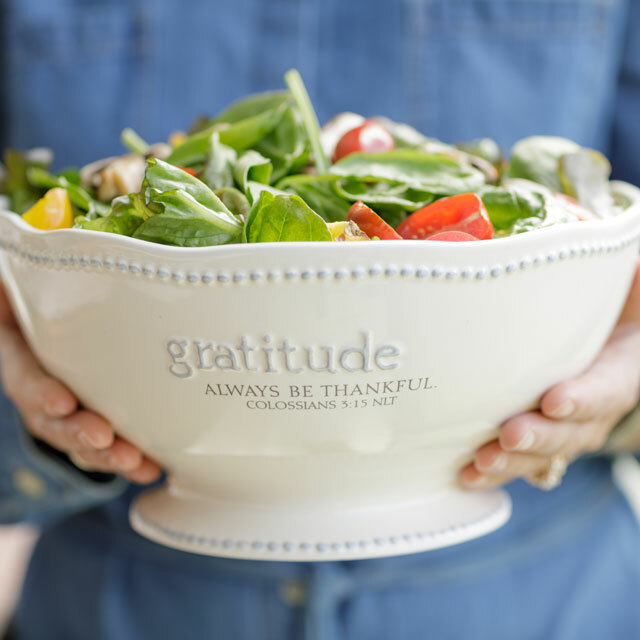 When I saw the “grateful,” bowl, it lifted my spirits because I am grateful to have has him so long. Thank you for bringing a little joy into my sad day. Happy, happy birthday!!!!! I’m so sorry Janice. I hope you find peace and happiness. Happy Birthday!!! I look forward to reading your blog and seeing your creativity! It’s very inspiring!!! Happy birthday!! I just started following and love all your ideas! November is the best birthday month!😉Happy birthday! Wishing you a wonderful day filled with Joy and Happiness! November birthdays are the best☺️ The giveaway items are just perfect! Hope your birthday is blessed with lots of your favorite things and people, too! I love your blog and look forward to it every day. Thanks for sharing all the wonderful printables and for the chance to win one of these great prizes. Happy birthday! May the Lord bless and keep you another year through! Happy Birthday Doreen! I enjoy your blog because it speaks to me in a way that is heartfelt and grounded in an attitude of gratefulness. Your ideas are real life and lovely! Thank you! Happy Birthday! Love them all. Love your blog. I especially enjoy your printables. Thank you for the chance to win. Happy Birthday to U ! hope Your Day is Wonderful !! Happy Birthday, Doreen! Your sweet spirit and generosity are blessings! May you be blessed back 100 fold! Thank you so much for sharing your gorgeous home and beautiful spirit. Happy Birthday, Doreen! Have a blessed year. Doreen, You are generous as well as talented! Thank you so very much for sharing all that you do! Happy Birthday!! Happy Birthday! Wishing you the best year Ever! How sweet to offer give sways. Enjoy your special day with friends & family. God Bless! Happy birthday to you, Doreen. Oh, happy birthday to me as 11/12 is mine. But thank you for your blog. Love the hints and decorating ideas. God bless you. Beautiful pieces for the giveaway. HaPpY BiRtHdAy! Happy Birthday & a year of blessings. Thank you for sharing your inspirational ideas! Happy Birthday. I am new to your blog and am enjoying your room challenge. Happy Birthday Doreen. I love following your blog. 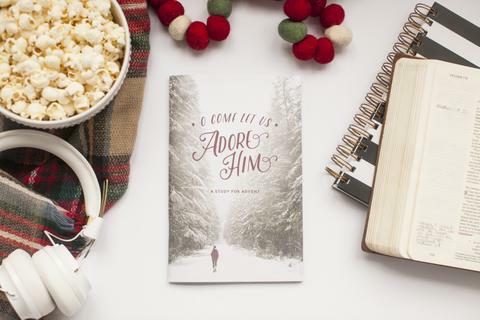 Thank you for the printable for the Christmas season. It will be a beautiful addition to my dining room. Happy, happy birthday, Doreen! You are such a joy to follow. I love seeing your beautiful home and what wonderful things you do to make it homier, and I love feeling like a part of your family when you let us know what’s going on in your world. Thank you for everything you do. hAppiest of hAppies on your birthday!!! HAPPY BIRTHDAY TO YOU! HAPPY BIRTHDAY TO YOU! HAPPY BIRTHDAY DEAR DOREEN, HAPPY BIRTHDAY TO YOU!!!! Its probably a good thing you can’t hear me singing 🙂 What a nice give-away and how thoughtful…hope your day is special. Happy Birthday!🍰 I love this group! And thank you for offering this generous giveaway. I hope you are having a great day! Happy Birthday Doreen, I always enjoy your post and thank you for the free printable! I look forward to all of your postings. What an inspiration you are! Happy birthday! Thank you for sharing the beautiful print! Beautiful pieces! Thank you for hosting a give-away! Happiest of Birthdays to you!! May this day be filled with all that makes you happy! Your are most generous to give away beautiful gifts. Best wishes to all who receive them. I love your blogs and all you share, you are such an inspiration! Happy birthday! I love your style. Happy Birthday! You truly are blessed! So creative & so giving. I always enjoy your creative decorating style. Looking forward to your final room makeover and holiday home decorating. Happy Birthday!! Thank you for an opportunity to win something in your give away! You always have the most beautiful inspirations. I have been a follower for a while now and your posts on facebook always brighten my day, and I even share. You personify Proverbs 14:1, “The wisest of women builds her house, but folly with her own hands tears it down.” You encourage each one of us in our own way to build our home up, serve it with love and proudness fit in serving, not boastful, but open, warm, and inviting, such as God’s love. As Psalm 46:5, you remind me “God is in the midst of her; she shall not be moved; God will help her when morning dawns.” Thank you so much for this opportunity, and most of all, happy birthday…may many blessings come your way as you pass through the coming days and years. Joy to you my sister in Christ! Happy, Happy Birthday. I hope your day has been wonderful. I love all the goodies you are giving away. Only an incredibly, not about Doreen but everyone else, could, would AND has, blessed everyone else!!!!!!!!!!!!!!!! Blessings to you Doreen. And a happy of happiest birthdays to you. Reading your blog is such an inspiration and source of goodness. God bless you. i pray your birthday is wonderful and blessings to you and yours! Happy Birthday! Hope your day is special. What a wonderful selection of gifts. Thanks for the chance to win one of them. Happy birthday Doreen! My birthday is next week…good people celebrate November! Happy Birthday! I’ve been enjoying your blog and Instagramb posts for a few months. Happy Birthday Doreen! I hope you have a wonderful day filled with love and happy moments that become sweet memories. Your blog is such a blessing to me and so many others. Happy Birthday to you! Best wishes. Happy Birthday. Hope it is your best one yet. You are too kind to share such beautiful gifts on your birthday. Love them all. A MOST HAPPY BIRTHDAY TO YOU!!!!! Happy Birthday Doreen!!!! I follow your blog and it blesses my heart. I love your farmhouse style and I love the beautiful prints and I love that we are sisters in Christ. Happy November Birthday!! My birthday is the 15, grandson is the 18th and my daughter’s is the 25th! We are blessed!! Love your blog, keep up the great work! Happy Birthday! I enjoy your blog and thank you for the chance to win one of these nice prizes. Wishing you a year of happiness and blessings. God Bless you and yours. Thank You for this generous giveaway. Thank You for this giveaway. The prizes are amazing. Wishing you many more birthdays and joy and happiness. Hope your birthday is everything you want it to be and more. Wishing you days of love,sunshine,peace and joy. God Bless. Happy Birthday!! Thank you for thinking of us on your special day. Also, have a blessed holiday season. Happy Birthday! I love your blog. Just subscribed to receive your emails. Thanks for the chance. I am always happy to see your email in my inbox. You are an inspiration to my decoration. Enjoy the day made especially for you. Happy Birthday … love your blog!! Happy Birthday! May the Lord bless you this day and every day. Happy Birthday! Such awesome gifts. Love seeing all of your great decorating ideas! Happy birthday. Today is my birthday too. May the Lord bless you and keep you happy and healthy. You are a great blessing for me. Happpppppppppyyyyy birrrrrrthhhhdaaaay toooooo youuuuuuu !!!!!!!! Have a wonderful, healthy, happppppy birrrrthdaaay with your loved ones. Happy birthday Doreen! Enjoy your blog, your home is lovely.Thank you for the giveaway, would love to win . My birthday #62 is the 14th! Happy birthday Doreen! I just discovered your site recently and I love it! It’s uplifting and connects with my heart and style! Have a lovely birthday! Thank you so much for the information and inspiration that I enjoy each week from you blog. May the Lord bless you with a wonderful Birthday. Thank you! Happy Birthday! When I check my email and see an email from you I️ look forward to opening it. Today’s email was a special surprise. Wishing you all of God’s richest blessings on your birthday and always. Thanks for the encouragement and inspiration you share. Happy Birthday Doreen. I am so enjoying your blog. Thank you. This is so sweet! Happy Birthday!!! Happy birthday to you! I hope it was special. I always enjoy your blog, the items you create, and your lovely home. Ohhh a give away! But you giving gifts for your birthday Now that’s simply too sweet! I’d not remembered your floor being the harlequin design. The entire room from side tables to the over the bed looks so striking. You have a gift! Happy Bitthday!! thank you for allowing me to subscribe to your blog and reap so many benefits from your freebies to your great decorating ideas! That is so nice of you to pick some of your favorite things to share with us on your birthday. You are a blessing to me and many others. I’ve enjoyed your gifts and talents – some of them are hanging on my wall and I get a lot of compliments about them. Happy Birthday! May God richly bless you in the coming year. Hope you had a wonderful birthday Doreen! Happy birthday and blessings! I’m new here but I am looking forward to what you have in your blog, it looks encouraging to me! And cute!! Happy Birthday! It is feeling like Christmas here in Ohio today! Brrr! I am fresh and new to your blog, it’s just lovely! Thank you for your focus on Godly things! Happy birthday🎂I️ hope it was as special as you are. Happy Birthday, Doreen! May you be blessed abundantly throughout this next year. Thank you so much for opening up your heart and life and allowing us to follow along with you on your journey. Happy birthday! I appreciate your blog and your generosity. Happy Birthday and BLESS YOU for your generosity! Happy birthday to you! Thank you for sharing pieces of your life with us. Your blog is such an inspiration. Happy Birthday! Thanks for offering a giveaway. Happy Birthday! What a special treat. Very much enjoy your style and your taste! Thanks for offering such a generous gift and free downloadable. Happy Birthday to you! So thoughtful of you to give to others on your birthday! Happy Birthday! I hope you have a very Blessed Day! Happy Birthday! How sweet of you to think of us on your birthday! May you be celebrated well all weekend long! Thanks for all you do! Birthday blessings to you, Doreen! May your special day be filled with all things beautiful. Thanks for all you do lift up others. Happy Birthday! So sweet to give on your birthday, I do this same thing for my friends. It’s so special to see their surprise. I like the give-aways…one of each, please. Happy Birthday! Hope you had a very special day! Meaningful, thought provoking, and practical! Happy Birthday Doreen!!!! I hope you have a wonderful and blessed day! Thank you for the opportunity to win such treasures, you are so generous. I also wanted to thank you for the printables, they are beautiful! Happy Birthday! I love your blog and your accessible style. Doesn’t Joanna look gorgeous on that magazine cove?! Happy Birthday fellow November birthday girl ! Happy Birthday, I just celebrated mine, too! I love your style and am so glad i found your blog! I am so inspired by your blog. I love how you integrate your faith into all of it. May the Lord bless you for speaking boldly! Happy birthday, Doreen! I hope you had a lovely birthday. Happy Birthday! This is such a lovely and generous giveaway. Thank you so much for giving us the chance to win. Happy Birthday Doreen! So thankful for all inspiring posts. Happy Birthday! Hope you had a great day – thanks for this wonderful giveaway. Happy Birthday! Wishing you a wonderful year of happiness, joy and love! Such a sweet giveaway. I love all of these items, although I haven’t seen the Bible study book before. Happy birthday and God bless you! Happiest of birthdays! I always enjoy your blog. I am enjoying the transformation of the office space. Happy birthday to you! Thank you for sharing lovely things with us; it’s so kind! Happy belated birthday! Love your favorite things list and am thinking hard on ordering the candle stick lights, too cute! Everything is beautiful in your home & on your blog. Thanks for all of the inspiration & happy holidays to you! Hope your birthday was great! Love the favorite things that you chose! This is such a sweet give away! Happy Birthday to you!!!! Thanks so much for being so generous to us on your birthday!!! Happy Birthday!! 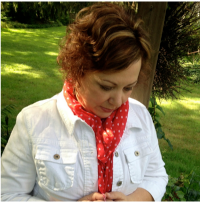 Your blog is always such a blessing and an inspiration–thank you! This is such a great package of gifts. Things I love, but wouldn’t splurge on for myself.